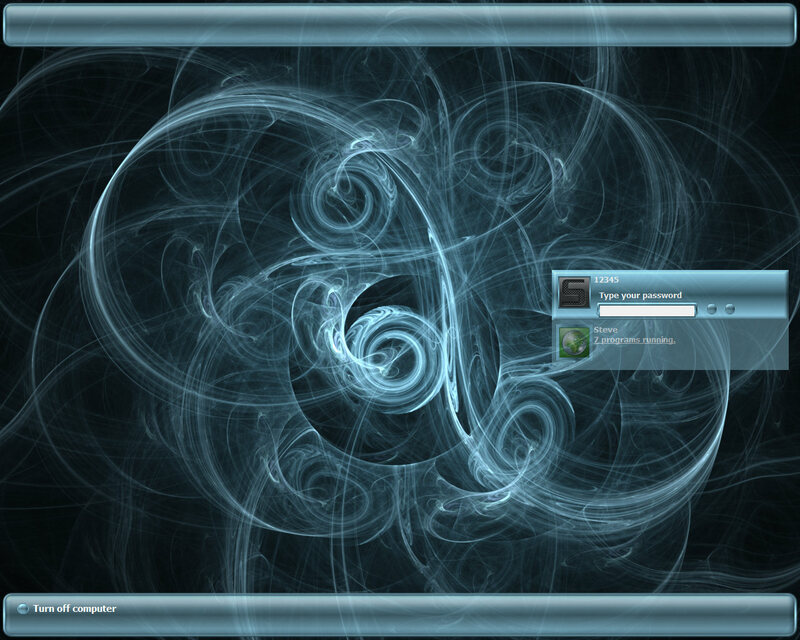 Image is a Apophysis render. Tweaked to show welcome and shutdown messages. Made at 1280x1024, for use at other res see comment 1. For the best look at lower res; browse to logon folder, C:\Program Files\WinCustomize\LogonStudio\Aqua Swirls, open UIFILE in text editor, look for following line element id=atom(contentcontainer0) layout=filllayout() layoutpos=client content=rcbmp(100,3,#0,1280,864,1,0) if editor has line numbers it is 542. The bold values, 1280 and 864 set pic width and height, change them to your res width and height minus 160 on height. This is to accommodate the top and bottom bars. Example; for 1024x768 res change values to 1024 and 608 (768-160). From feedback from a couple members this will work going up to higher res. Nice job Steve, I hope the wall is coming soon! Yep, not sure when, still rendering other resolutions. how to use it.. isnt working here.. pls tell me how to..
ow to use it.. isnt working here.. pls tell me how to..
Do you have LogonStudio installed, if not there is a link at the top of this page to it.